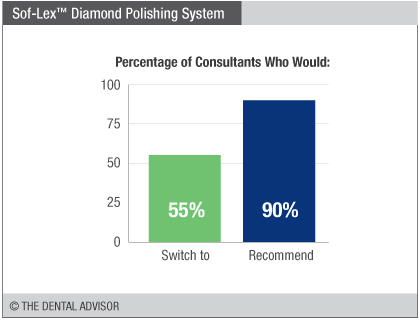 The Sof-Lex™ Diamond Polishing System was evaluated by 31 consultants, with an average of 22 uses per consultant. 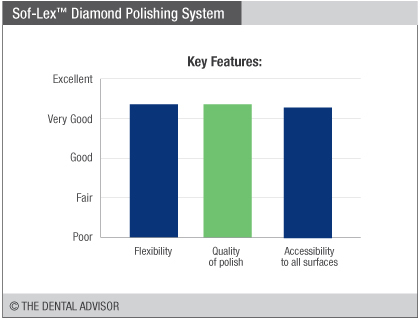 The Sof-Lex™ Diamond Polishing System offers a fast, paste-free method to polish restorations. The beige rubberized pre-polishing spiral is impregnated with aluminum oxide to remove scratches and smooth the surface of teeth. Final polishing is achieved with the pink rubberized polishing spiral that is impregnated with diamond particles to create a high-gloss polish. 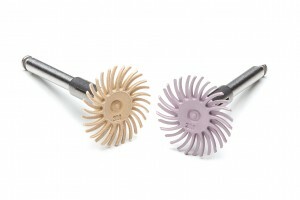 The polishers are snap-on and flexible for adaptation to all tooth surfaces. 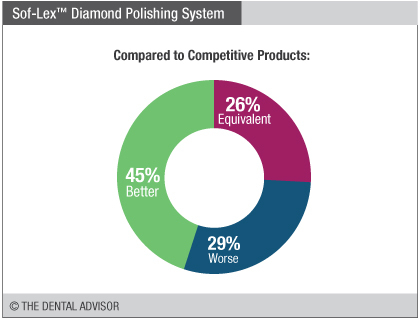 Adding water is recommended during use to optimize results and prolong tool life. The spirals and mandrels are multi-use and auto clavable.